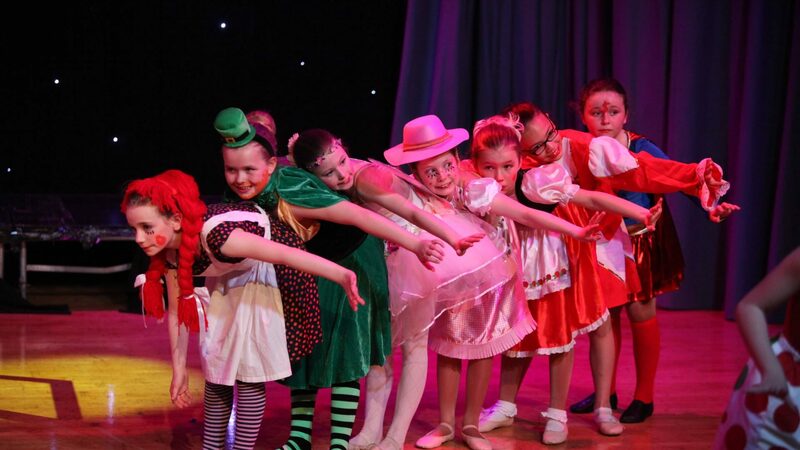 The Helen Guy Dance Academy opened in May 1985, teaching pupils in Classical Ballet, Tap, Lyrical, Modern Jazz, Street Dance, Musical Theatre, Acrobatics. Adult Tap & Classical Ballet. We Participate in Exams, Gala Weekend, and Charity events and we hold an Annual School Show. We are proud members of the British Theatre Dance Association. The B.T.D.A was established in 1972 as a Midland-based Association, and has now expanded throughout Great Britain and is also established in many other countries abroad. Please view our full School Prospectus. Examinations are an essential part of a dancing school curriculum. By taking examinations a pupil's progress may be followed and parents then know their children are in fact gaining knowledge and not just attending week after week with no ultimate gain in view. Pupils from the age of three up to ten can take these awards. These act as a stepping stone to the comprehensive graded system. The crystal awards give older students the opportunity to enhance their performance skills and can act as an encouragement between graded examinations. Successful candidates will each receive a certificate and a glass trophy. The B.T.D.A. Medal System was introduced to encourage students in Stage Work. Taking a Medal is very different from taking an examination. Medals are performed on stage in costume and with make up. The medals are engraved with the subject being taken, e.g. a student taking a Bronze Medal Modern at the age of 5 years will, if successful, receive a Bronze Medal engraved with Modern with an orange centre. I feel taking medals encourages the pupils and helps to give them an individual personality, develops their performance skills and gives them the experience of working to an audience. Graduate Awards These are given to pupils gaining three Grade 1 examinations. Scholarship Day is held in the autumn. Students eligible to apply must have reached and taken Grade 2 standard. They must apply on a correct form from head office. There has been misunderstanding in the past as to qualifications for scholarships, don't think you can just take a Grade 2 examination or be an outstanding dancer. These scholarships are given to potential, hard working students to be working on more that one subject. A financial reward towards exam fees is possible for qualifying students.